From their test preparation to college admissions services, mentorship is at the heart of everything they do. 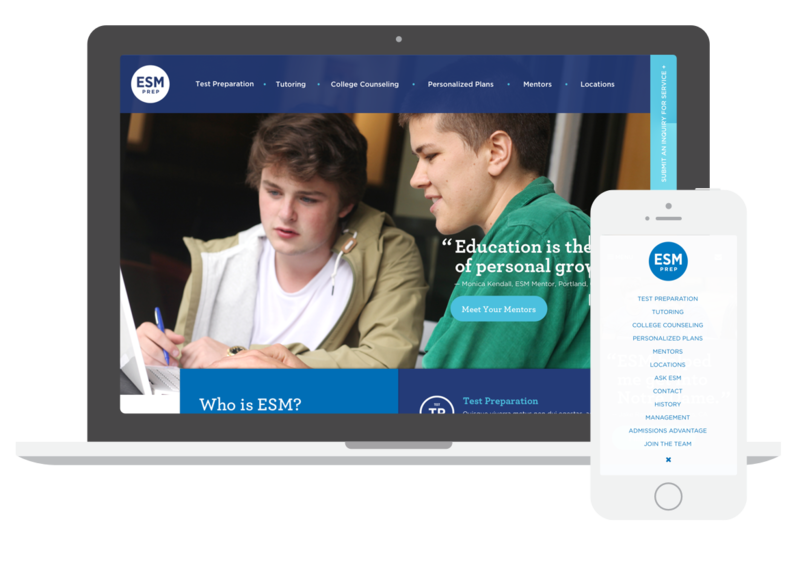 ESM recognized that their current website didn’t meet this vision and came to us for a redesign. ESM got its start back in 1999 and over the years has evolved to fit the needs of their clientele going from San Francisco-based to locations all over the world. 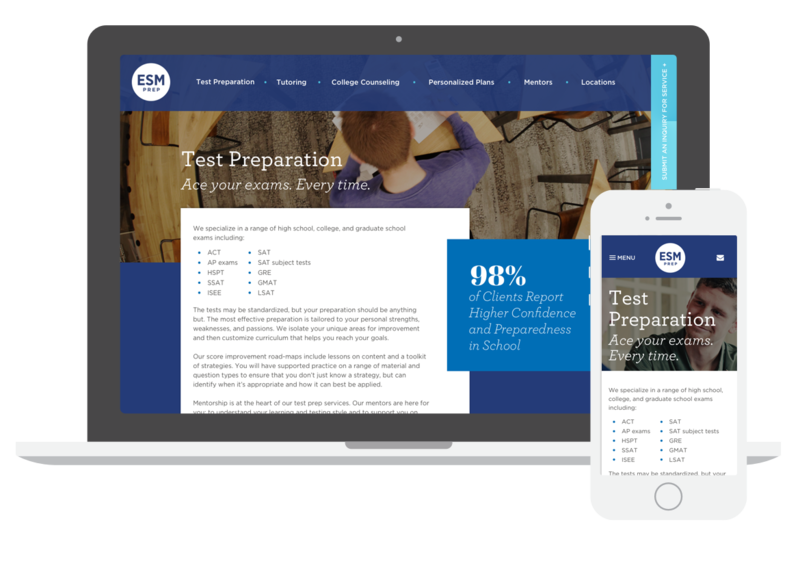 With those changes, naturally the brand has gone through many iterations, so it was important to get the website and branding working cohesively. 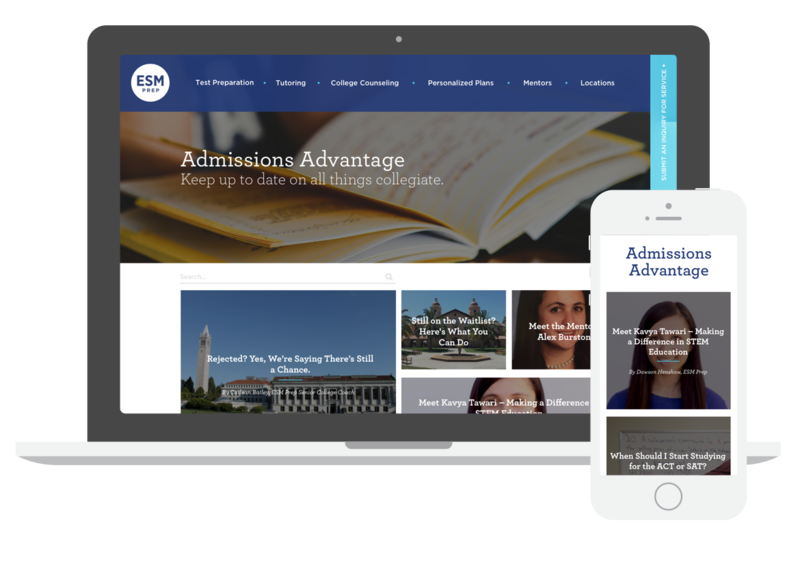 Their newly updated site came in the form of a custom CMS-integrated site along with an interactive locations map, an expanded mentors section with pictures and bios, and a video library of questions and resources. Their Tumblr blog was imported to the site as well, making it a central hub for resources. 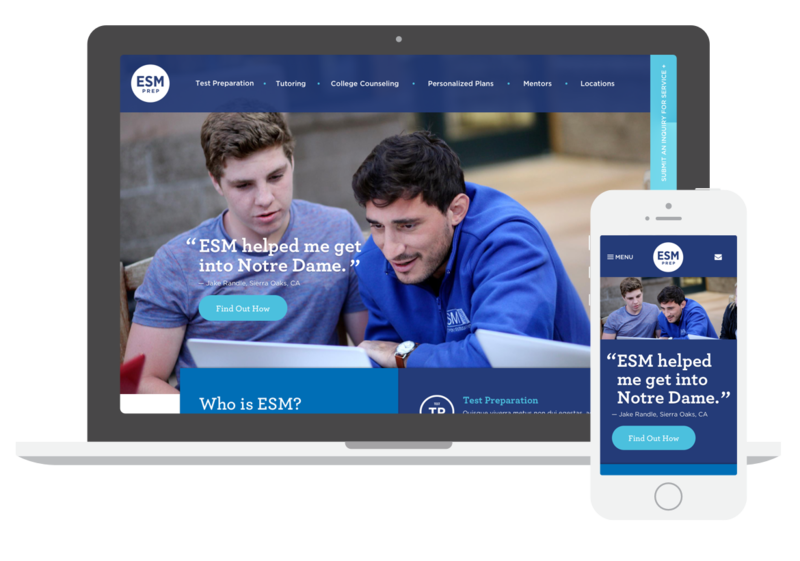 The site’s new design brings the experiences ESM has to offer front and center through vibrant colors and vivid imagery.